As the Autumn approaches, I love nothing more than a slice of cake with a hot cup of tea or coffee. Snuggled up with a blanket or wrapped up in a snuggly sweater, it's the perfect way to enjoy the cooling temperatures, whether on your own or with friends or family. 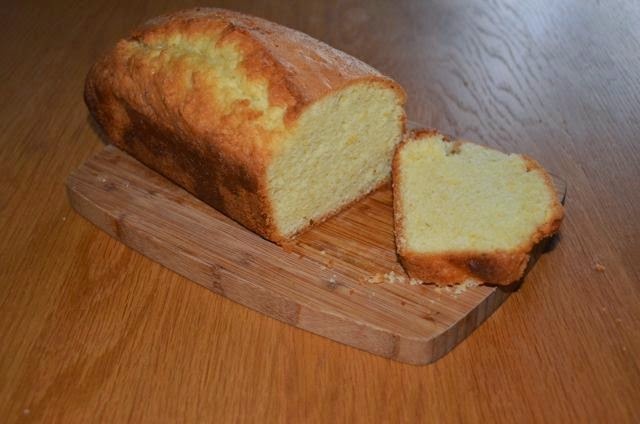 This lemony loaf cake is story enough to be comforting, but light enough to be a gentle reminder of the summer that's just finished. If you're not the sort to finish a cake yourself and your family isn't big enough to help, I find that a few slices of a loaf cake wrapped up in a pretty box or some craft paper with a cord tie makes a lovely gift for a hostess, a friend or for guests to take home with them. 1. Prepare a loaf tin by lining it with baking parchment paper. To keep the paper in the tin, fit it into the corners and secure it to the sides with clothespins and set aside. 3. Using a wire whisk, mix the flour, cornflour and baking powder in a bowl. 4. Retain 2 tablespoons of the lemon juice and set aside for the icing. 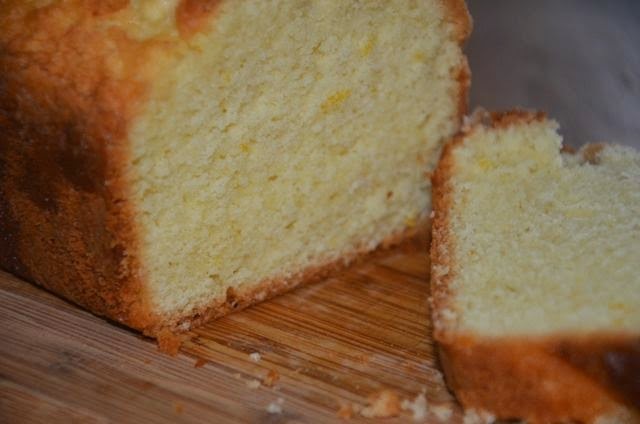 Add the sugar, eggs, butter, lemon zest and the remaining lemon juice to the dry mixture, beating until smooth and a pale primrose color with an electric mixer. 5. Pour the batter into the prepared loaf tin and smooth the top with a rubber spatula. 6. Bake for 45 minutes or until an uncooked spaghetti noodle inserted into the center of the cake comes out clean and remove from the oven. 7. Cool the cake in the tin for about 15 minutes. 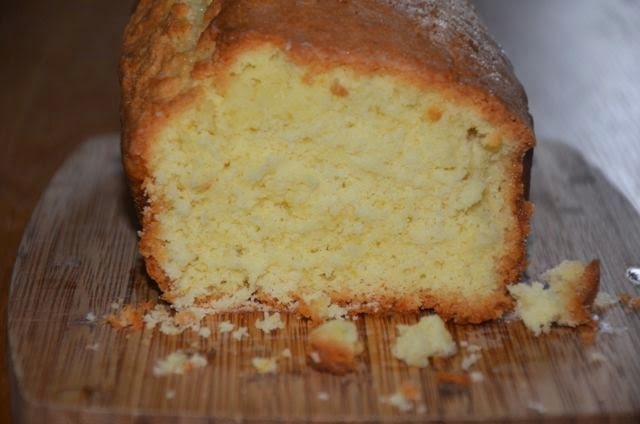 Meanwhile, make the icing by stirring the reserved 2 tablespoons of lemon juice together with the icing sugar. 8. When the 15 minutes have passed, remove the cake front the tin using the slack of the paper. Place the cake on a plate or cutting board and pour over the icing while it's still warm.